Startups that scale too fast tend to fail – this is the problem that a new app released today aims to help solve. The Startup Genome Report is a project that wants to turn entrepreneurship into a science, using information submitted from thousands of tech startups to generate meaningful data that can help these companies make the right choices for success. The first report from the project was launched in May this year, and we gave it in-depth coverage at the time. Now the latest data has been released, based on analysis of 3200 high-growth Internet startups. It finds that 74% of high-growth startups fail due to scaling too soon. What’s more, no startup that scaled prematurely exceeded 100,000 users, and 93% of these companies never break the $100,000 revenue per month threshold. However, startups that scale ‘properly’ grow around 20 times faster than startups that scale prematurely. That’s why the Startup Genome Report has launched a Web app that startups can use to generate a personalized report which helps them avoid scaling too soon. The Startup Genome Compass automatically classifies startups based on the types (such as ‘Automizer’ and ‘Social Transformer’) and lifespan stages (like ‘Discovery’ or ‘Validation’) that the Report identified in its first release earlier this year. After completion of a questionnaire, the app benchmarks startups against those of a similar type and at a similar stage. 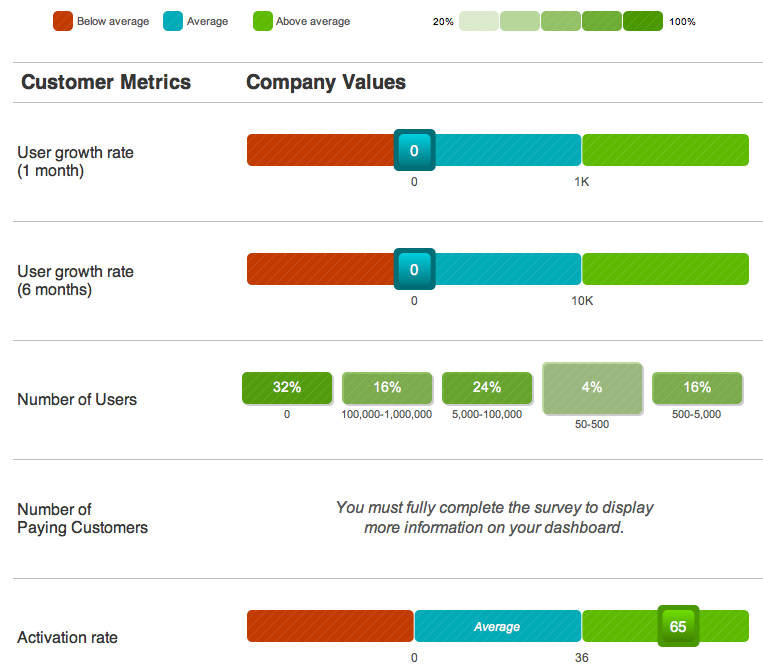 Founders will be able to see a wide range of metrics, helping them hone their strategies. Everything from release cycle frequency; team size; average salary of founders; level of funding; number of pivots, and many more data points can be viewed, letting startups compare themselves with their peers. The Startup Genome Report is a project run by Silicon Valley accelerator Blackbox and its first report was received with broad approval from the tech investment community. As such, being able to put its data to practical use should be helpful to a wide range of startups. The Startup Genome Compass is free to use. Full information on how to access it should be going live right about now over at startupgenome.co.